Best Air Conditioning & Heating Service King George, VA | Robert B. Payne, Inc. 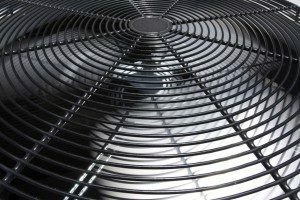 When you need air conditioning and heating service in King George, VA, call Robert B. Payne, Inc. We have an extensive history of providing results. In fact, we have built our entire business around your satisfaction. If you’re not happy with our work, we will resolve the problem and provide you with peace of mind. Robert B. Payne, Inc. is a family-owned business. Like you, we strive to succeed and better ourselves. Each day, we work with residential and commercial clients who want comfort, efficiency, and a bit of reprieve from the heat. Friendliness, quality, and professional craftsmanship are just a few factors setting us apart from the competition! Professional installation is paramount. By choosing Robert B. Payne, Inc. you are taking an active step towards a more efficient, healthier heating and cooling system. Our technicians, who train extensively, ensure your system enjoys higher energy efficiency, an extended lifespan, and fewer repairs during its lifetime. You can’t beat that level of service! Occasional maintenance is a surefire way to prevent problems from arising. During our maintenance appointments, we clean the entire system, replace the old air filter, and ensure small problems do not grow into significant repairs. Being proactive truly does help! Robert B. Payne, Inc. has a proven standard of excellence when it comes to HVAC repairs. We work tirelessly to ensure your system operates smoothly and without falter. When something does go wrong, our technicians arrive promptly and equipped with everything needed for a speedy resolution. Your system will be up and running quicker than ever! Call Robert B. Payne, Inc. now at (540) 373-5876 for extensive air conditioning and heating service in King George, VA. We excel at surpassing expectations and achieving total customer satisfaction; so, take advantage of our service today!